Roux Associates is an industry-leading environmental consulting and management firm. Since its inception over 35 years ago, the Roux organization has scaled to over 300 environmental scientists and engineers who are dedicated to creating sustainable solutions through a wide array of consulting and project management services for reputable clients across the nation. We consolidated from multiple to one typeface, simplifying the content structure with clearly defined informational hierarchy throughout the site. Maximizing space, the font compliments the layout and presents a more visually appealing balance. In a nutshell: the task at hand is making dirt look beautiful. Thanks to Roux's team, we included newly captured scenic drone footage and photography which allowed us to showcase the beauty in the natural environments in which they work. Roux strives to solve complex environmental problems around us. The website experience begins with aerial footage of beautiful natural landscapes, capturing the actual environmental topography that Roux works in. Vibrant imagery is balanced with structured content for a clear and engaging user experience on all devices. We strengthened the navigation, portfolio and improved the presentation of all practice areas. Individual project detail pages were created along with a new leadership directory. Clearer calls to action increase the level of focus throughout the user journey. 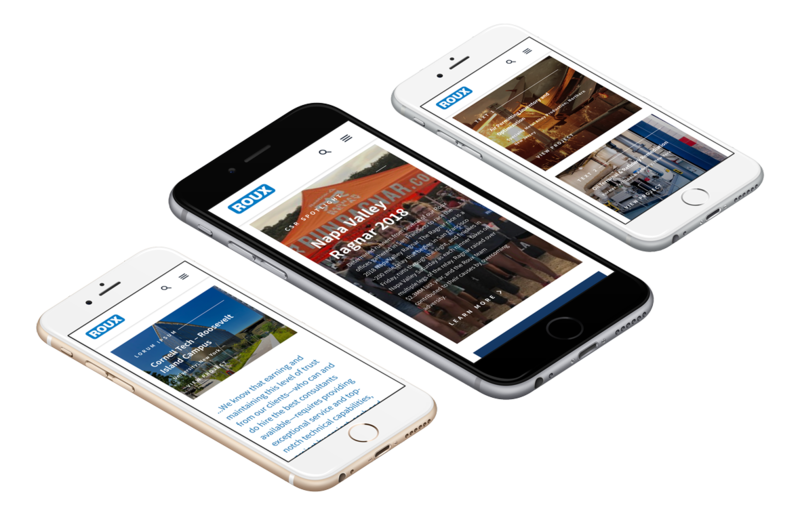 With an increasing mobile audience, an improved responsive design was necessary to direct users to their destination easily and quickly. We are proud to partner with a best-in-class company and keep them at the top of their industry. 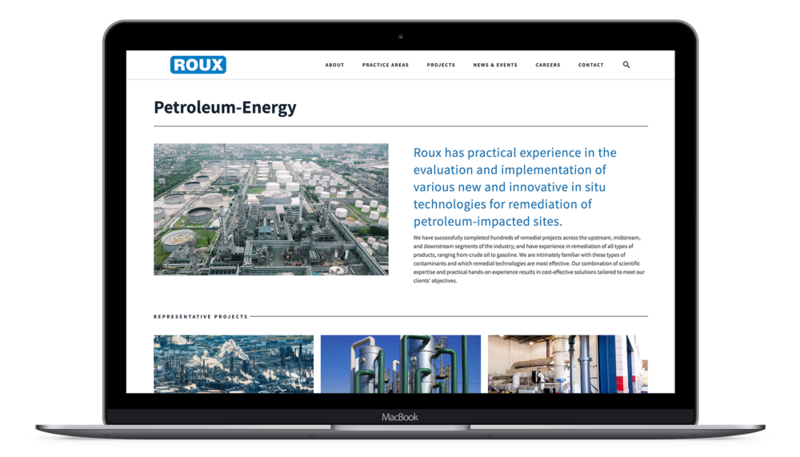 Our team is constantly evolving and optimizing the Roux Associates website, and we anticipate strategizing new ways to drive additional traffic, awareness, and opportunities for their organization in the future.